Research continues to be conducted that portrays the startling connections between the health of teeth and gums and overall wellbeing. Those that avoid regular trips to our cosmetic dentist in West Hollywood are not only going to be more susceptible to conditions such as tooth decay and gum disease, but they’re also missing an opportunity to receive the brightest and straightest smile of their life. 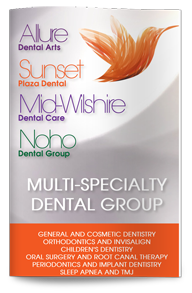 If you are ready to take that first step towards a new appearance, increased confidence, and impeccable oral health, our West Hollywood cosmetic dentist is here for you. The Center for Disease Control and Prevention has shown that a vast majority of Americans are going to suffer from either gum disease or tooth decay at some point in their life. When these conditions are left to go on for too long, there may be severe damage to the teeth and gums. The easiest and most important step to avoiding these serious ailments is by scheduling frequent appointments with our cosmetic dentist in West Hollywood. During these appointments, our patients are treated to a quick and painless examination that is going to include X-rays, an inspection for any abnormalities, and a thorough teeth cleaning. It is during this time that we can help you catch and prevent some of the most serious health issues that could take place in your mouth. If you are looking for a smile that is going to brighten up a room, our cosmetic dentist in West Hollywood has trained relentlessly in order to be able to provide you with all of the most effective treatments ranging from Invisalign aligners to chairside whitening. Our multi-faceted team of dentists can also assist you and your loved ones with services including dental implants, gum treatments, snore treatment, sedation dentistry, and more. One’s oral health and smile is simply too important to allow to fall by the wayside. Our friendly staff and team of experienced dentists are ready to devote the energy and time into every single patient that walks through our door. 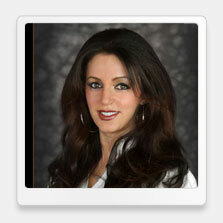 Give us a call today and you will realize just how quick and easy a world-class smile can be.